2. Drug Master File (DMF) compilation for open (applicant part ) and closed part (Restricted part) and entire DMF (open part part and closed part togather) in CTD format. 3. Provide support in conducting characterisation of molecule Structural elucidation of substances, impurity profiling and related analytical method validation and stability studies. 4. Preclinical and clinical overviews writing through literature search / published studies / articles from journals from different sources. 5. 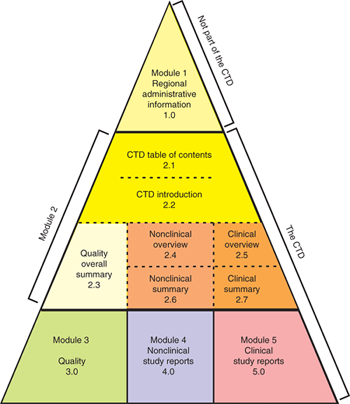 Expert reports on Quality , Pre-clinical and Clinical Study - Module - 5. 6. Prepare summary of product characteristic (SmPC), Pack Insert, Product rationale. 7. Periodic Safety Update Report (PSUR) preparation. 8. Mutual Recognition Procedure in Europe. 9. Extending support in responding to queries from Regulatory Agencies, timely submission of all types of variations, including change of ownership, change of manufacturing sites and new indications. 10.Assit in obtaining "Marketing Authorisation ( MA)"& to ensure effective Pharmacovigilance (abbreviated PV or PhV) in registered country by having a sound network of professional team. 11. Evaluating case for obtaining BCS- Biowaiver as per EMEA Guidelines.